Most objects we encounter have some form of symmetry. This means that we can build half of what we want, or even less, if we can then simply reflect it. In this Tutorial we will learn how to use ShapeJS's built in symmetry functions in order to modify data sources. 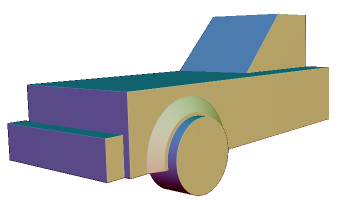 Let's start by modeling the beginnings of a toy car. Now, we could repeat all the same operations, creations, and so forth on the other side. And then do both to make the rear end of the car. What we would be doing is manually creating reflections. But there is a much simpler way: using planar reflect. However, we need multiple reflections: once over the Z axis, and once over the X axis. 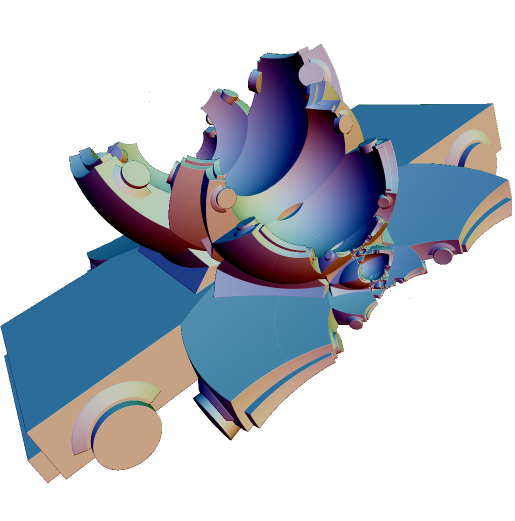 Fortunately, we can combine multiple planar reflections into a single transformation. We'll also get another shot at creating a function. 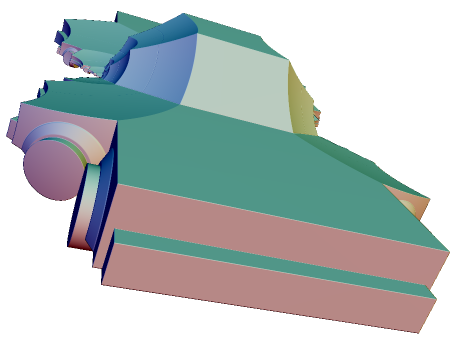 By doing this, we can create the whole car while only really modeling a fourth of it. Everything we are doing here should be familiar, except for this ReflectionSymmetry operation. By using it we can avoid having to do any more modeling. Instead, we just create two planes, one along the X axis, one along the Z. We then apply this like any other transformation in order to get a more complete vehicle, rather than a single seater circle driver. Meanwhile, we have a fairly boring car. Let's take it and make it into the Fractalmobile by adding a spherical reflection. It is very easy to add in more reflections since we have it set up as an array. Go ahead and give that a try. Who knows what you'll end up with?